Go on, ask me if I like durian. 1. You’ve made the mistake of throwing in Davao expressions while chatting with Tagalog folks. 2. You love durian. At least, that’s what everyone else thinks. While durian love is pretty common among Davaoeños, the look on people’s faces when you say you’re not a fan makes you feel as if you’ve betrayed your hometown. 3. You’ll forever be thankful that—even with the 30kph (!) speed limit downtown—traffic in Davao is nowhere near as hellish as it is in Manila. In Davao, a 45-minute commute is considered an eternity. A one-hour journey? That’s already a road trip. 4. You dread getting in a taxi in Manila. Whenever you’re in the capital, you fear that cab drivers will rip you off every chance they get. Is it too much to ask that they return every last peso of your change to you, like they do in Davao? 5. With all the city ordinances in Davao, you’ve learned to be resourceful about fun. No smoking in public places? You know all the nooks where you can light up! No serving of liquor past 1 a.m.? You start chugging at 8 p.m! 6. You’re totes proud of your mayor and the way things are done in your city. Damn straight. That's my mayor! 7. You can hit the beach whenever you feel like it. Oh, I’m just gonna hop on a ferry, hang at nearby Samal Island, and be back in time for dinner. No biggie! 8. You’re pretty chill about your looks. You’re not ashamed to still be wearing trends from last year (yeah, sue me), or leave the house with a bare face. Besides, it’s not like anyone cares...right? 9. You’re kind of a homebody. 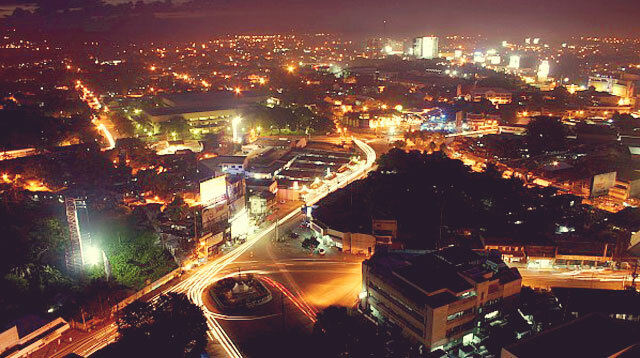 With Davao’s laid-back vibe, you don’t mind staying in on weekends. Sometimes, the call of your bed is just too hard to resist. 10. You know everyone. Your parents know everyone. EVERYONE KNOWS EVERYONE. These are people you went to preschool with and snuck out to your first house party with, and when you get older, they’ll be the same people you’ll attend silver weddings with and weep at funerals with. 11. You sometimes find yourself wishing you lived in Manila. Take note: sometimes. FOMO is strongest when you hear of your favorite band visiting or some hot high street brand opening in Manila (looking at you, H&M), or those few times you catch yourself wishing your life were as Instagram-worthy as that of your Manila-based friends. But most of the time, you feel pretty peachy to just be in your neck of the woods.